Today must just be the birthday week, because we found out this afternoon that today is Mrs. Flossey’s 62nd birthday. She called Maness at the office to inform us that we were invited to go out with her and her family for pizza this evening to celebrate. I guess in Malawi, pizza is associated with birthday celebrations… and that pizza is usually from Pizza Inn. We spent the morning and afternoon working with our data once again, went to the embassy to pick up my passport, and headed home as usual around 5pm. One of the activities I am really going to miss when we leave Malawi is our walks to and from the office every morning and evening. We feel blessed that we get to see the beautiful African sun rise and set each day. The birthday celebration started at 7:00pm. We hopped into Professor George’s car and he drove us all to Pizza Inn where we celebrated Mrs. Flossey’s birthday with a barbeque steak, mushroom chicken, pepperoni and macon (what we know as bacon), and lots of Fantas. Andrew and I had a good time (although I did not quite enjoy the cardboard pizza as much as the others) and we were happy that we could be a part of such a wonderful birthday celebration. With our time winding down, I find my thoughts turning less to the research we have, but to life in Los Angeles (post africa). There are so many things we need to do before I’ll feel ready for our next adventure. Besides finding a place to live (from africa) there will be other related challenges. Just means we’ll be busy for the next couple weeks! 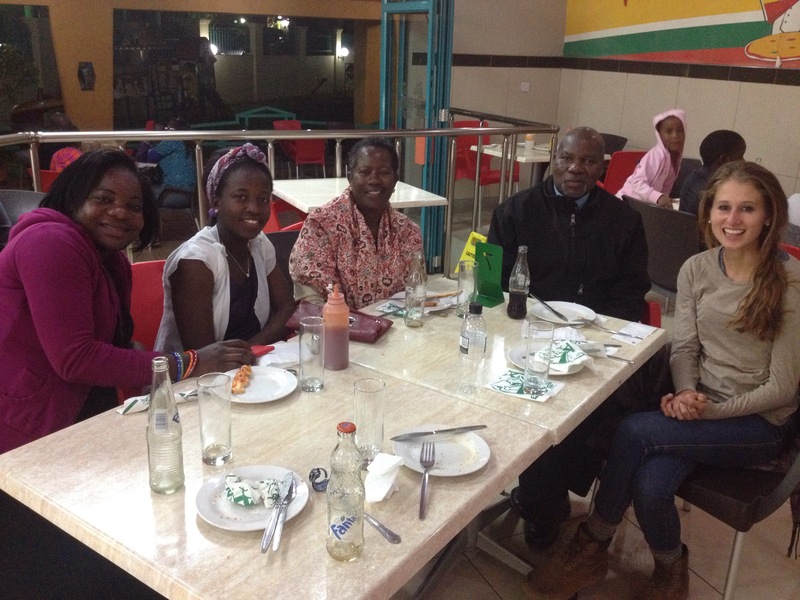 Today we celebrated Mrs. Flossy’s birthday at one of the most famous Malawian pizza places, pizza inn. I’d seen Pizza Inns all around africa during the first part of our travels, and was really curious what it tasted like. Tonight put that mystery to rest… Pizza is still pizza. While I didn’t think it was incredible, I’ll be honest – I was really hungry so I didn’t mind the taste haha! Fun day and lots of celebrating this week!